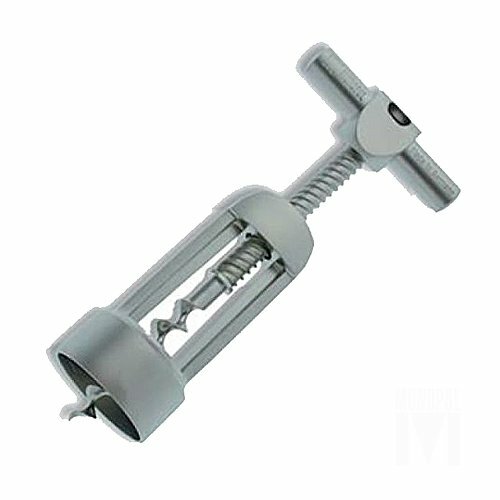 This Monopol corkscrew was designed to be a bartenders ideal wine accessory. Using Germany engineered quality, the Monopol corkscrew has been deemed the best in its class. With the ability to remove both plastic and natural wine corks it has proven itself worthy of anyone who loves the extraordinary. Monopol has stood for quality and innovation for many years. Their products are sustainable, safe and most products are made in Germany. Monopol turns a house into a home. Monopol has everything that makes life cozy and pleasant. Be inspired by Monopol products and ideas for your home. From colorful, modern and classic, precious and practical - you will find exactly what you are looking for in Monopol products. Your home will be full of your favorite products which will always compliment your kitchen and dishes you prepare for you and your loved ones. This handy gadget will indeed make your everyday life so much more fun. Liven up your home and life with this unique and wonderful kitchen tool. Monopol guarantees 100% satisfaction when using this product or your money back. 5 YEAR WARRANTY: Monopol is completely confident that you will love its "Corkscrew", if you don't like it, we will refund your money back no questions asked! If you have any questions about this product by Westmark, contact us by completing and submitting the form below. If you are looking for a specif part number, please include it with your message.